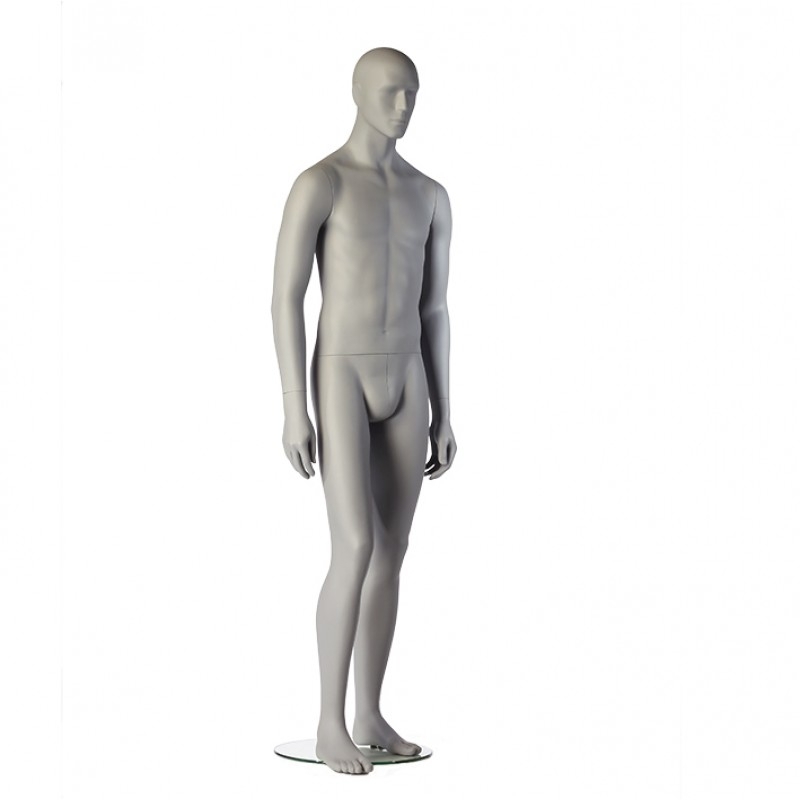 Slim fit male mannequin from Hindsgaul in a relaxed pose. 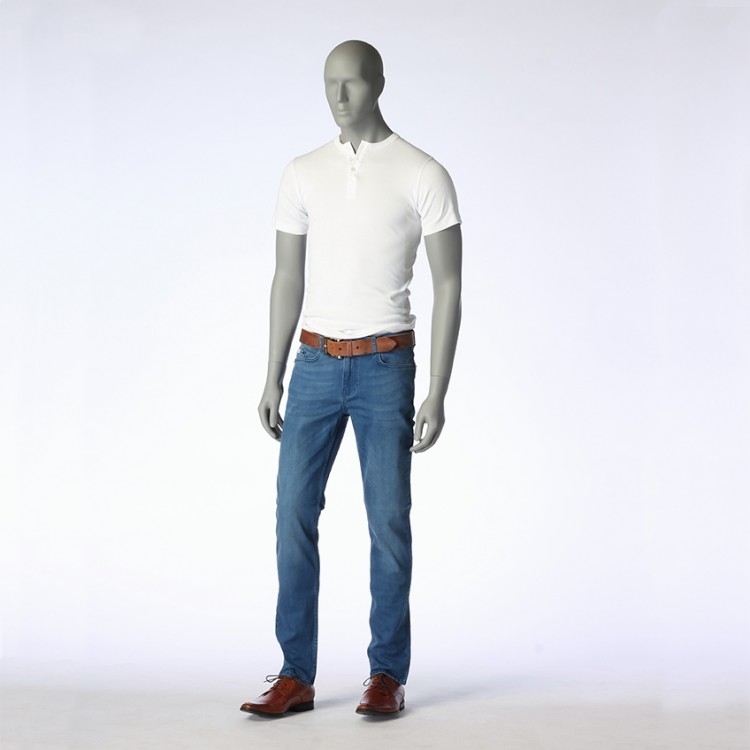 ROY is a semi-faceless male mannequin series with a confident, masculine attitude. ROY is available in grey or white and goes very well with his female counterpart: The COY series also from Hindsgaul. Flex arm that fits all mannequins in the ROY series. 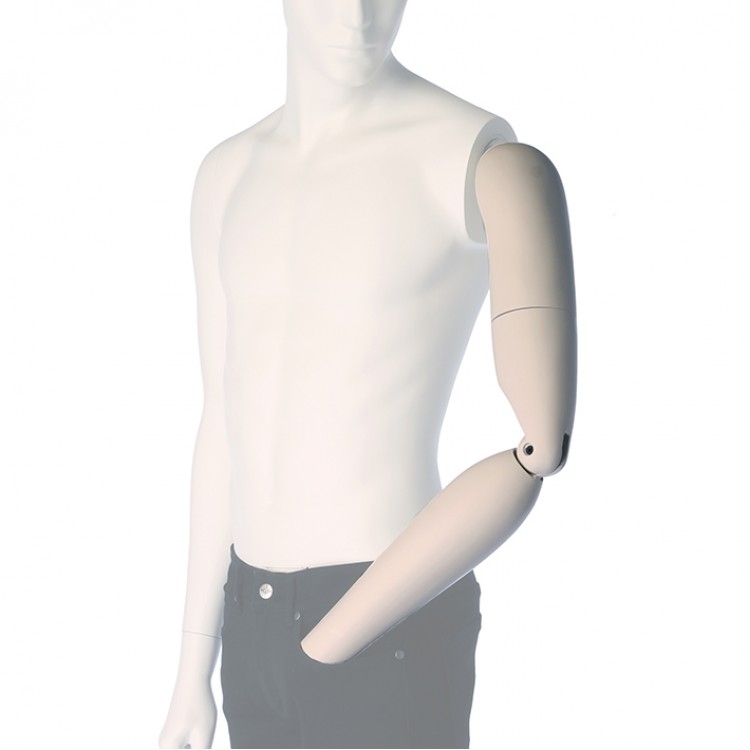 The flex arm lets you style your mannequin, so that it appears as if one hand is in the pocket, giving the mannequin a relaxed expression. Can be used as both right and left arm. The measurements above are approximate. sandal feet for split toe sandals etc. Our skilled employees are ready to answer your questions regarding store and window mannequins or shop fittings. We look forward to guiding you in choosing the right mannequin and accessories, such as wigs, colours and materials, or shop fittings. The website www.deco4shops.dk is owned and operated by RETAILMENT A/S. 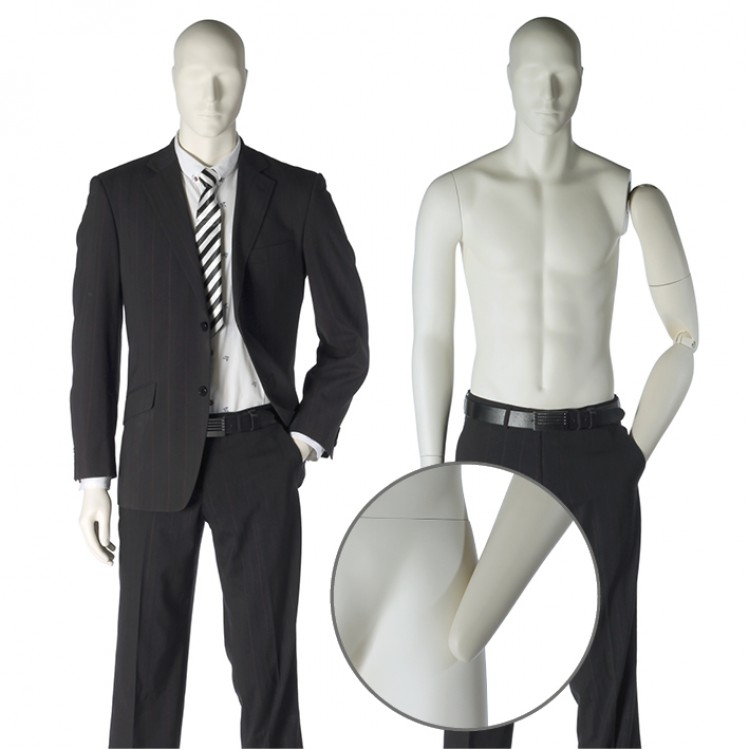 Retailment specialises in the development, production and sales of mannequins. For more than 100 years, our team of highly educated professionals has created exclusive, Danish-designed products focusing on detail and functionality. At Retailment we also offer customised solutions and serve many types of customers, ranging from smaller stores and photographers to international retail chains. The solutions can be based on our product range but can also be brand new concepts developed in close collaboration with the customer. Our name RETAILMENT is based on the two terms retail and entertainment - because our goal is to make shopping a fun and entertaining experience for the customers. Retailment A / S is a secure business partner and data processor, so we guarantee that we comply with the applicable GDPR rules.